How much do you charge to come to my home and give me a written estimate? How long will the project take and what day will you start? What if I'm not satisfied after the job has been completed? We accept payment in cash, check, Visa, MasterCard, American Express, Discover, and through PayPal. We also have flexible financing options to fit your budget! Absolutely nothing! We enjoy meeting new potential clients. The only way we give estimates is to come to your home or office so that the cost is tailored to fit your budget and specific needs. There is no specific answer to this question. Our availability to start and complete a job is dependent on Mother Nature's cooperation. We complete jobs on a first come, first served basis. This means we will complete jobs in the order received, not based on the size or profit as some companies do. When Asheville Arborcare agrees to complete a job, we try to be as specific as possible about what all will be done to complete the project. The owner of the company is involved on a first hand basis at every job site to ensure the quality and safety of every project. If not completely satisfied, we will work to our full potential to reevaluate the job and complete it to your satisfaction or work to find a permissable solution. 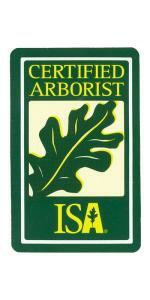 Asheville Arborcare is fully insured for general liability specifically for tree care. We are always happy to provide you with proof of our current coverage upon request. You can find a link to download current proof of insurance on our "About Us" page. When ordering or registering on our site, as appropriate, you may be asked to enter your: name, e-mail address, mailing address, phone number or Asheville Arborcare. You may, however, visit our site anonymously.